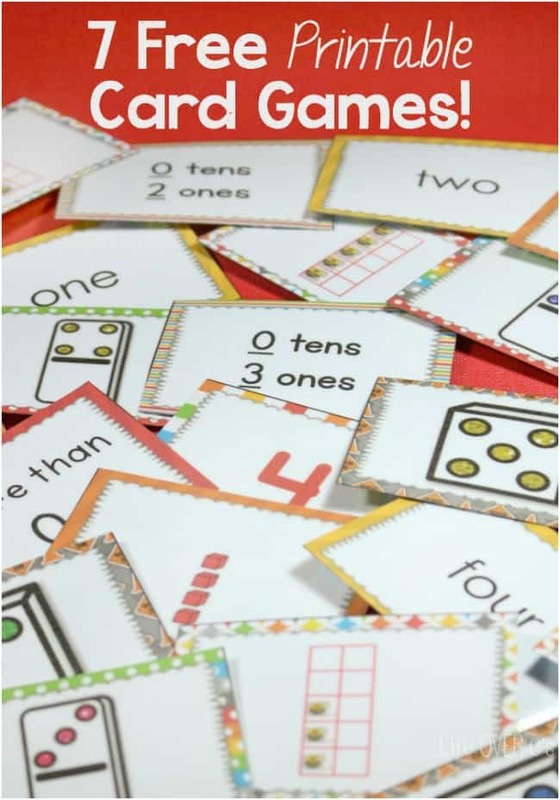 7 Free Card Games for Counting to Five and Much More! 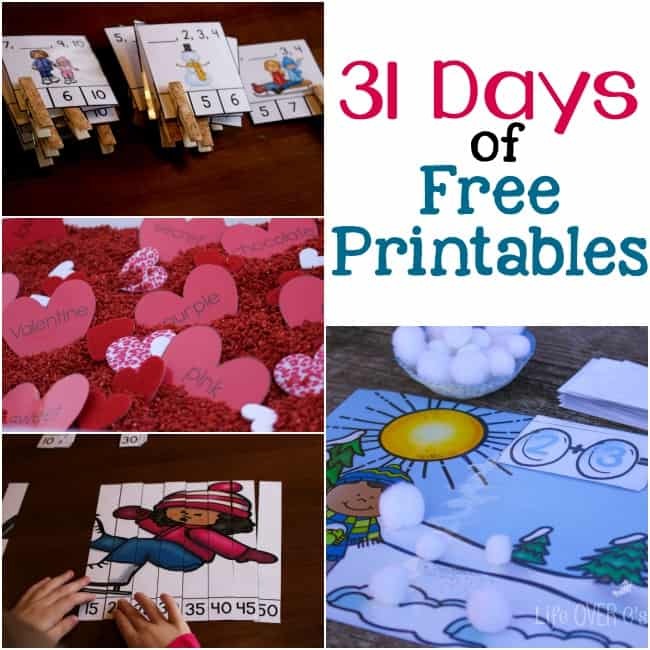 I know I’ve said it almost every day, but I’m super excited about the 31 Days of Free Printables for Hands-On Learning! This is day 18 and if you have missed any of the days be sure to head to the end of the post to visit the other days! 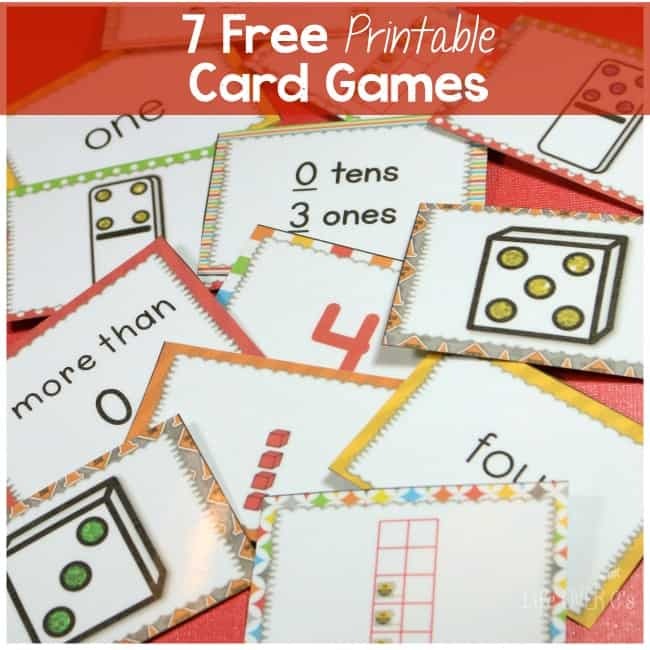 Today’s free printable is 7 free card games for numbers to 5. 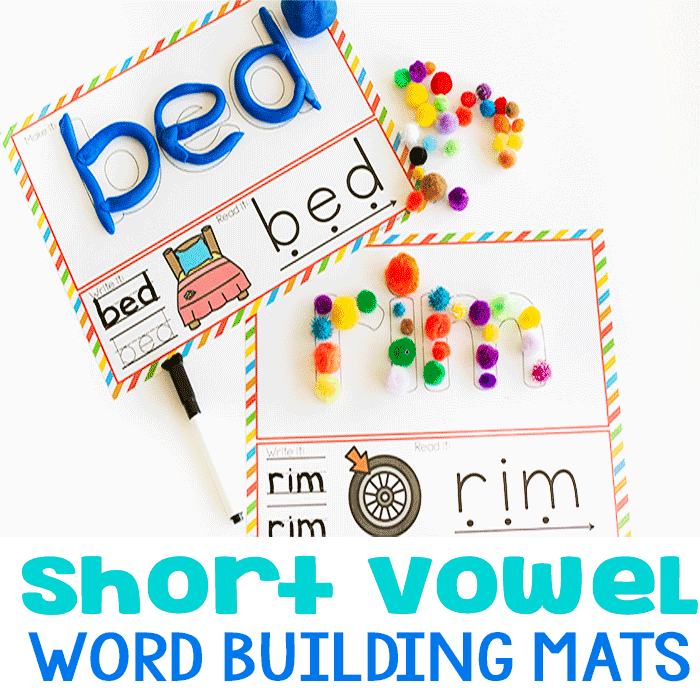 You can use it for matching, reading, addition, subtraction, multiplication and much more, so don’t be thinking this is only for preschoolers! 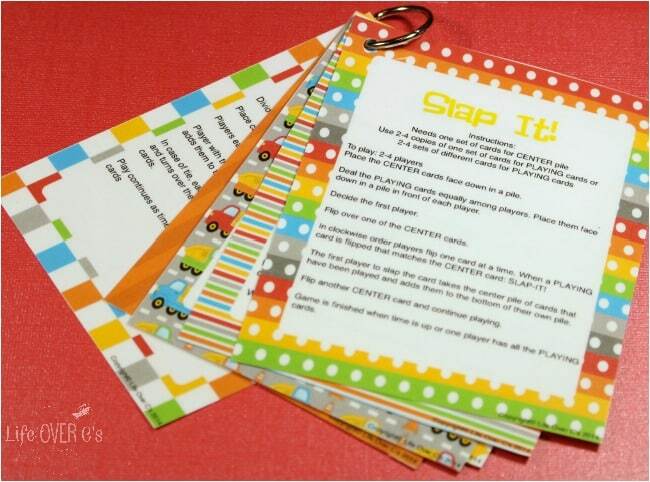 My 5th & 6th graders love these games too! 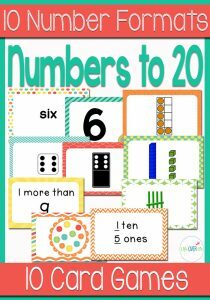 There are several formats of numbers included, so that you can make engaging games for all of your learners. 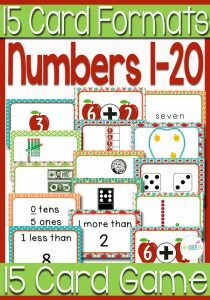 Select from dice, dominoes, numerals, words, ten-frames, base-ten blocks and ones/tens. 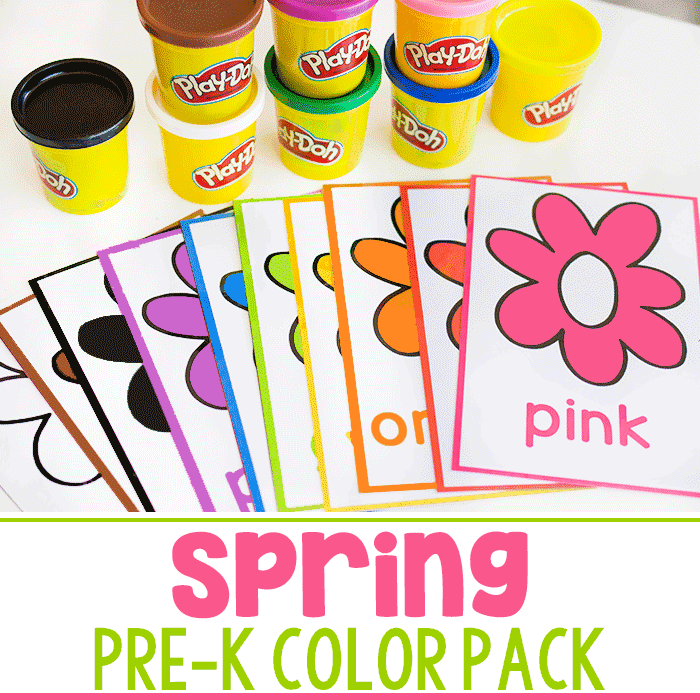 You can have your kids match different types of the same number in Memory and Go Fish! Then, you can use all the different formats for the other games. Detailed instructions are included. 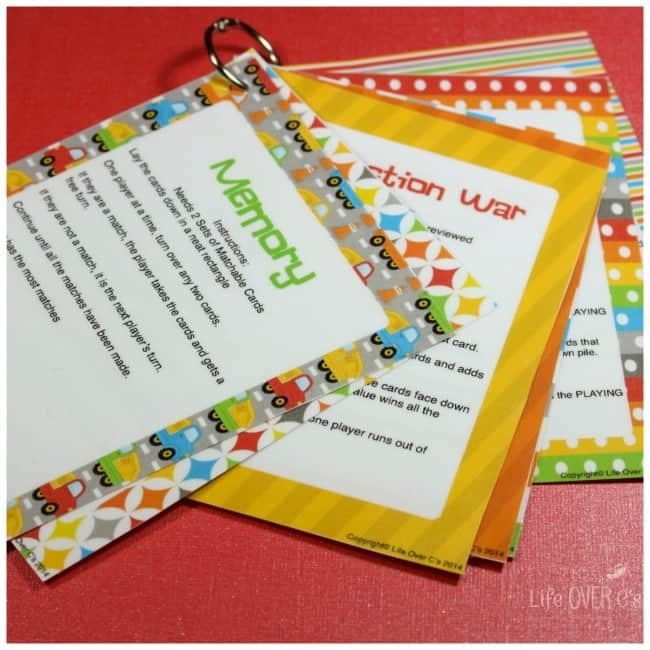 They are formatted as full-size pages, so you can print them that way if you would like. This time around, I printed them 2 to a page (an option in my print settings)and put them together with a book-ring. I’m limited on storage space, so the small size was preferable to me. 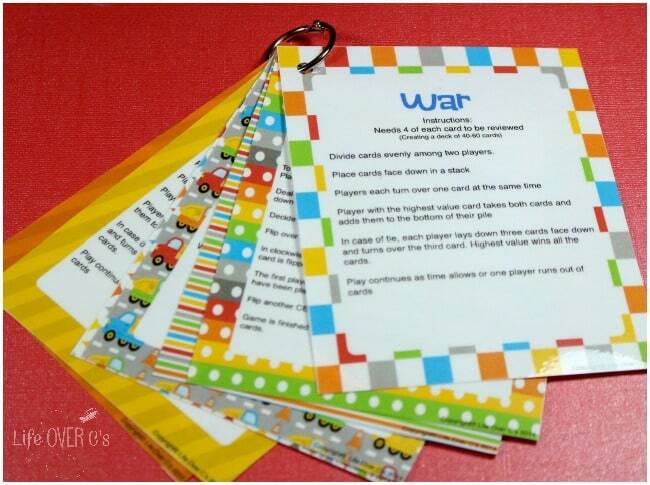 The instructions will tell you how many cards you need for each game. Some require only one copy of the cards, but some are better played with larger decks that will require multiple copies. It does seem like a lot of printing, but when your kids begin playing and ask to play again and again the printing will all be worth it! 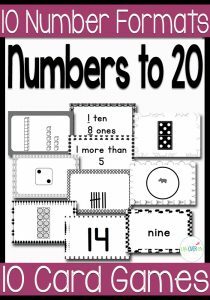 If you are looking for more great card games I have them for numbers to 20 in multiple themes making them perfect for playing all throughout the year! I even have a black & white set for those who can’t print in color. It is so awesome that you share these with us. How cool for you to know that your hard work is being appreciated all over the world. 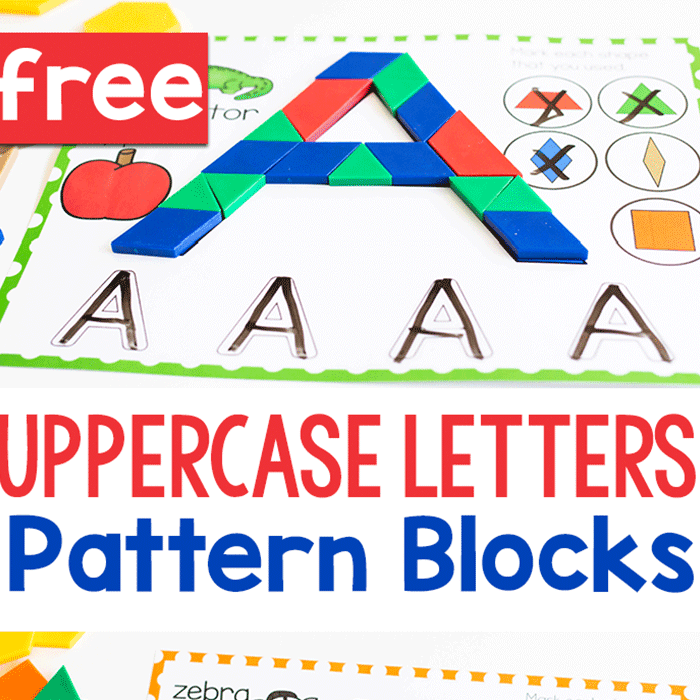 We will be playing with these (and lots of your other resources) in New Zealand!